Lynn Price | Social Entrepreneur. Founder. ChangeMaker. RippleCreator. Social Entrepreneur. Founder. ChangeMaker. RippleCreator. Humbled to be a guest on the Oprah Winfrey Show, I told Oprah and her worldwide audience that Camp To Belong would be expanding to Canada. It just came out of my mouth. There really wasn’t a plan. I didn’t even know anyone in Canada. But, the intention was set. Through the beauty of being in the right place at the right time – in front of their respective television sets – Wendi and Susan, two Canadian women with vibrant energy and commitment to vision, helped put the ripples in motion. With strategic outreach to Tim Horton Children’s Foundation, devotees of Camp experiences for children – and – Ontario Association of Children’s Aid Societies, keen to engage in our vision to reunite siblings, we set our sights on Camp To Belong Canada…in Kentucky. Yes, Canada in Kentucky, a wonderful story. You just make it happen! On a starlit August eve in 2005 anticipating the arrival of 60 campers and chaperones from Toronto, I marveled at the outcomes of intention alongside Caz, Chew, Papa, Magic and Linus as they announced to a volunteer counselor team giddy with anticipation of this special Camp experience that we all needed Camp names. That’s when I became Ripple and the Power of the Ripple was born. You see, they gifted me with an identity that emulated my vision, casting that one stone of intention across a still body of water. That stone caused a ripple touching all the people involved in bringing Camp To Belong Canada to fruition. The waves surged and catapulted to contagious collaboration that celebrated – in this case Camp To Belong Canada – where everyone rode the whitecaps as sibling memories were about to be made. More Camp names were thoughtfully knighted around that opening counselor campfire like Kodak, Fiesta, Dixie, Harley and Curly. And, the next morning as our sibling campers separated by foster care, alongside 40 volunteer counselors and staff stood in respectful attention as the American Flag was raised alongside the Canadian flag, the joy of singing The Star Spangled Banner and O Canada beautifully resonated for the Power of the Ripple and the intention set with Oprah. 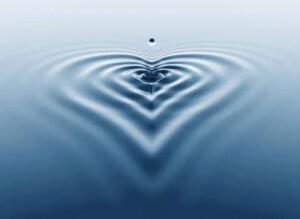 Welcome to the Power of the Ripple Blog where we will share stories of the ripple…the wave…the tsunami that educates and engages people far and wide in ways we cannot even imagine with casting that one initial stone! Lynn Price is a social entrepreneur, speaker, author and coach. She is the recipient of numerous national awards and accolades including the Points of Light President’s Service Award, presented to her by President Bill Clinton, Oprah’s Angel Network Use Your Life Award, L’eggs Women Who Shape Our World and Redbook Mothers and Shakers. An Ashoka Fellow and member of the National Speakers Association, Lynn currently lives in Denver with her family.